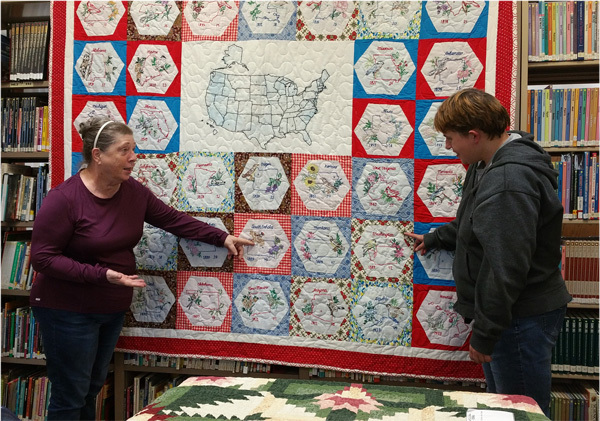 Kathy Bumgardner and Jennifer Bowersock enjoy some of the 40 quilts now on display at Filger Library, until October 27. Be sure to stop by! 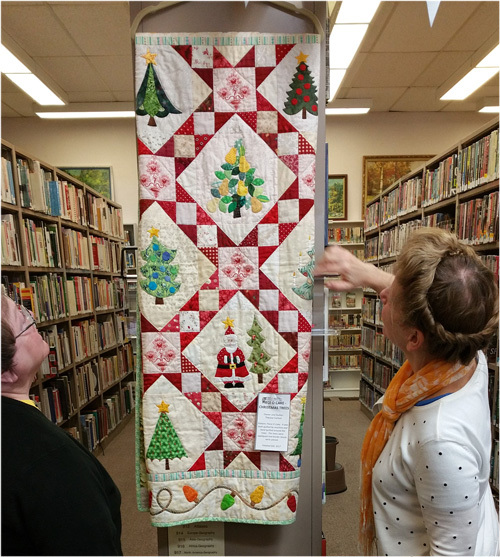 Nancy Williams and Debra Blunier admire a quilted piece with a Christmas theme, now on display at the library.